I will always have a soft spot for Cardiff. I lived there for three years while studying Food Science at university and will always consider it a second home. With the most ridiculously happy smiley passionate people for a big city and with a constant buzz in the air that become fever pitch on match days, making it a welcoming place to visit and live. 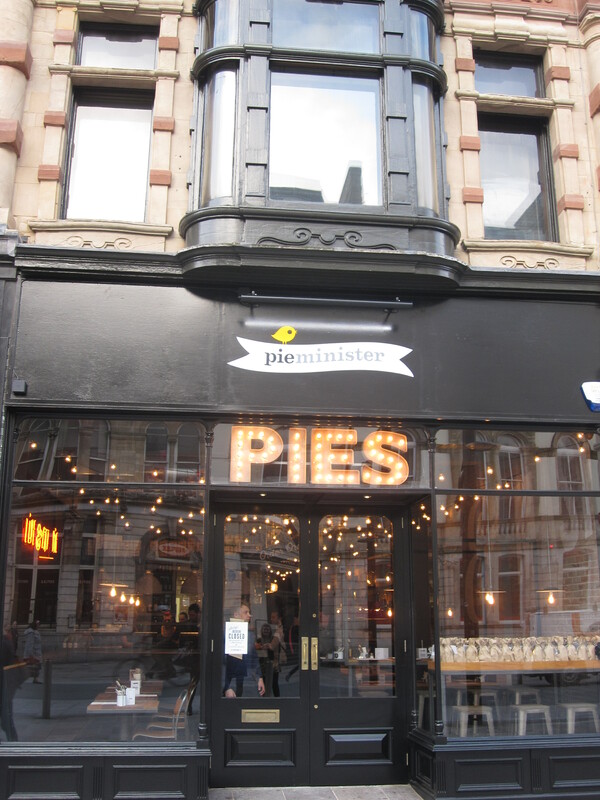 So I was very excited when I was invited to attend the opening of the brand spanking new Pieminister Pie and Mash restaurant right bang in the centre of Cardiff. In the middle of The Brewery Quarter and Morgan Arcade on St Mary Street, the perfect location to tempt the many students, tourists and rugby fans that pour through Cardiff daily. 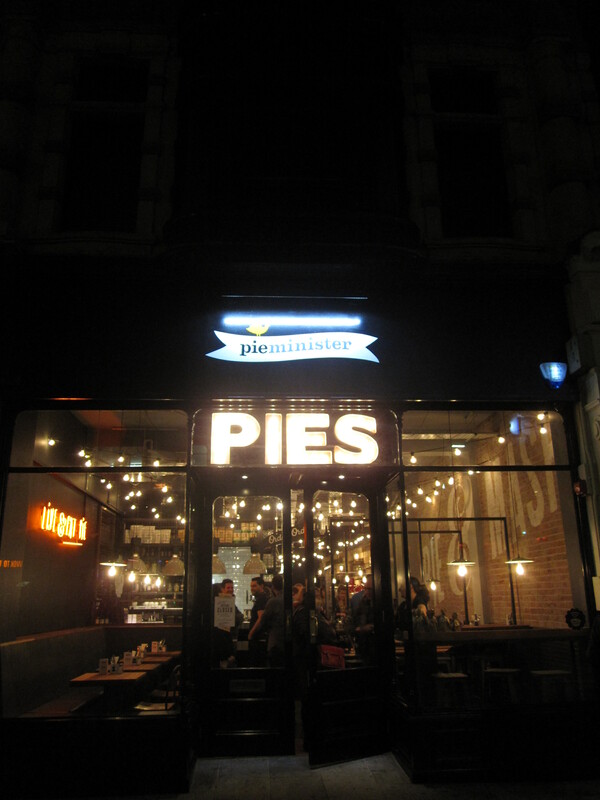 And with a big glowing PIES sign outside, a clear sirens call for those who love a great quality pie. 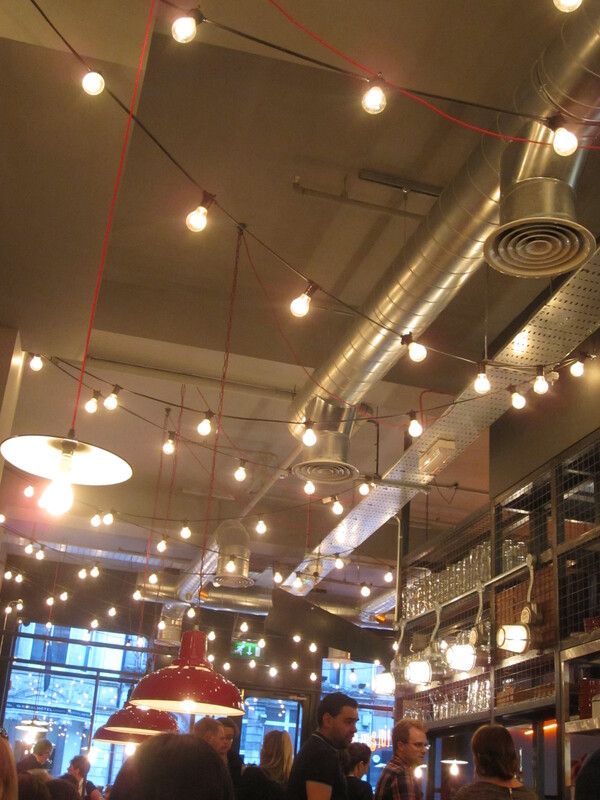 The inside of the restaurant just oozes cool, with it’s stripped down features, open kitchen and cage bar. 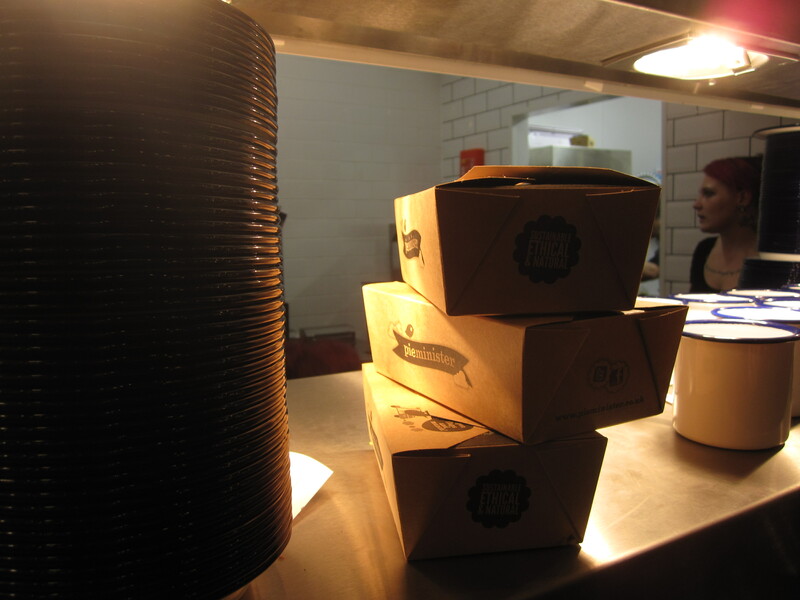 With comfy booths perfect for impressing dates, settling down for a good gossip with friends or just tucking into a pie and mash mountain. 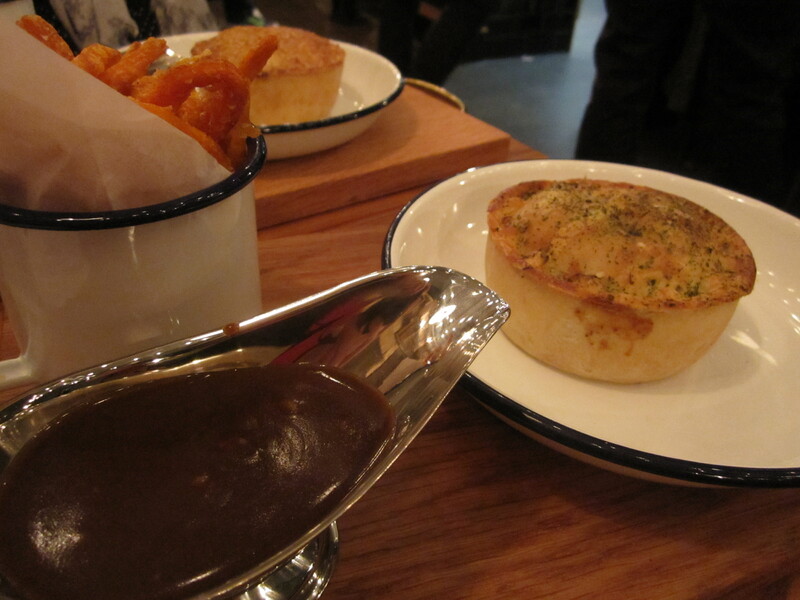 My friend and I decided trying one pie flavour wasn’t enough for us so ordered the Matador (A British beef steak, chorizo, olive & butter bean pie) and the Free Ranger (A free range British chicken & ham pie with leek & thyme pie) between us and shared the joy. The Matador had a deep beefy richness full to the brim with meltingly tender beef chunk and garlicky chorizo discs. The olives gave a nice texture and flavour to the sauce, the same with the creamy butter beans. I loved the large chunks of ham in the Free Ranger, unlike the mean little pieces you get in supermarket chicken and ham pies. In the creamy sauce were buttery green leeks and tender chicken chunks incased in a rich buttery pastry. Delicious. The sweet potato fries were too tempting to pass up on trying, super crisp, well seasoned and a nice change to having mash with the pies. All served up with lashings of onion gravy. 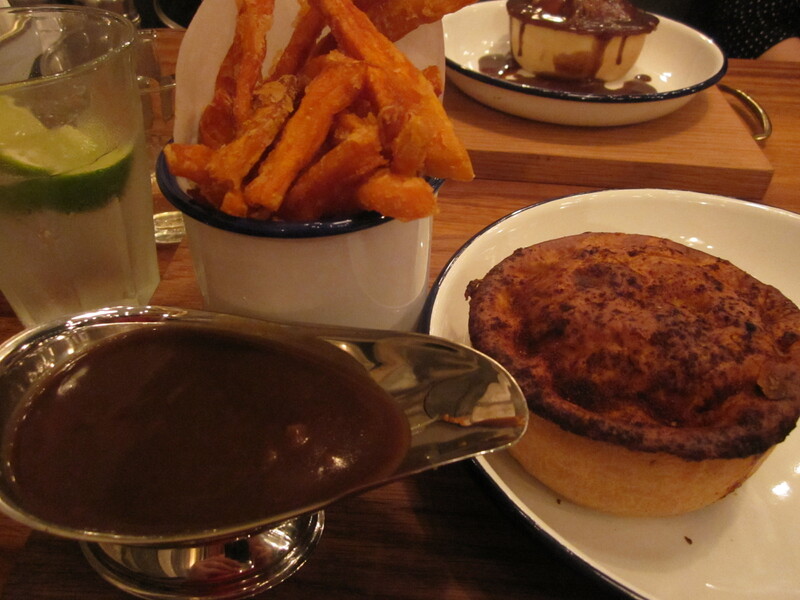 ( The inner debate to drink the gravy battled on until I realised I was in a nice setting, not my feral hovel). 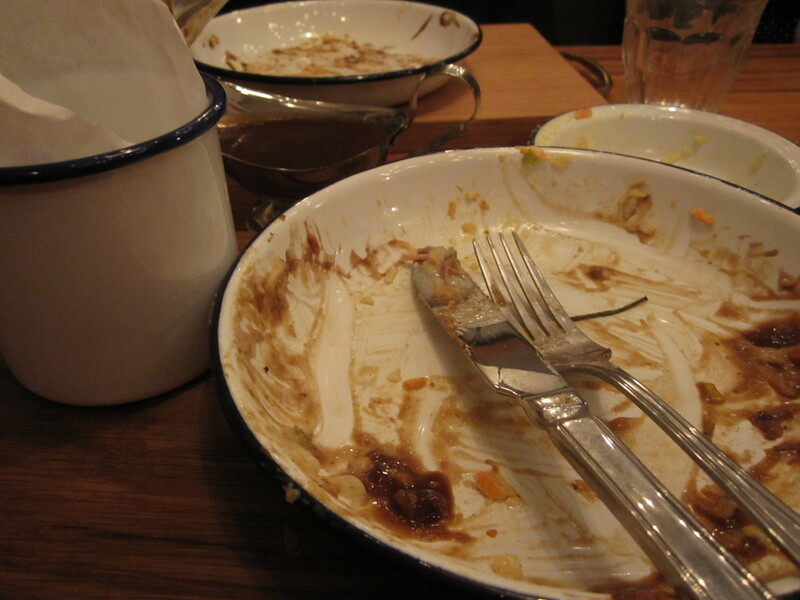 The plates were cleaned in a record time. 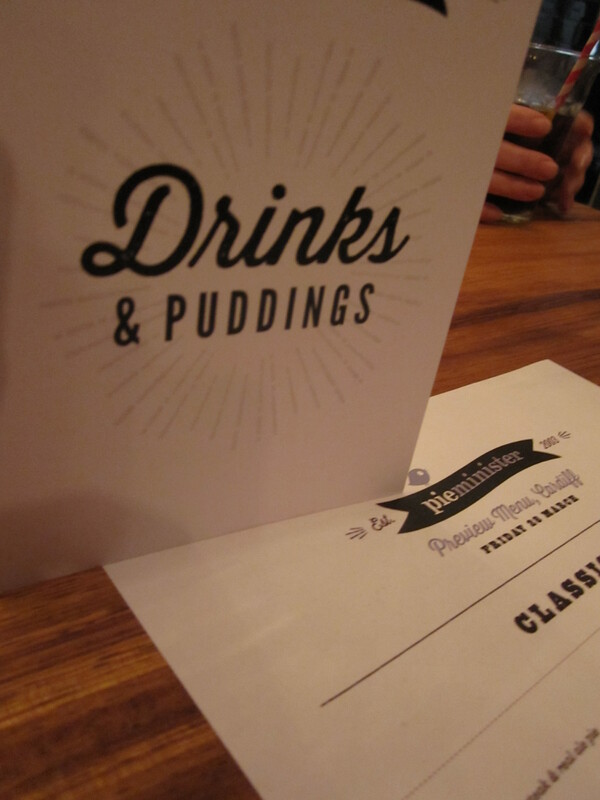 Unfortunately, as it was opening night we didn’t get a chance to try out the delicious sounding desserts such as the Bristolbocker Glory with a shot of cider brandy and the warm Chocolate Brownie with ice cream but that just a great excuse to come back real soon. 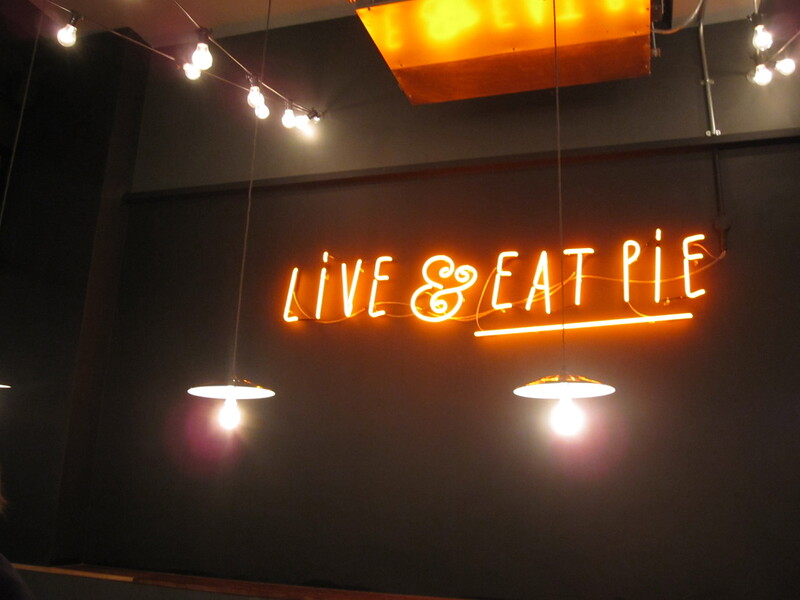 Same with the great sounding Lighter Pies, less than 440 calories but fantastic sounding flavours that doesn’t scream bland diet food at all – Chickalito (A free range British chicken & dry cured ham pie), Light as a Feta (A butternut squash, feta & sun-dried tomato pie) and Kooky Chook (A free range British chicken & sweet potato, coconut & chilli pie) all in a buttery seeded pastry base. How great do they sound?? All you need now is a zero calorie chocolate then you would be set for life! Thanks to all the staff who ensured we had a great time. 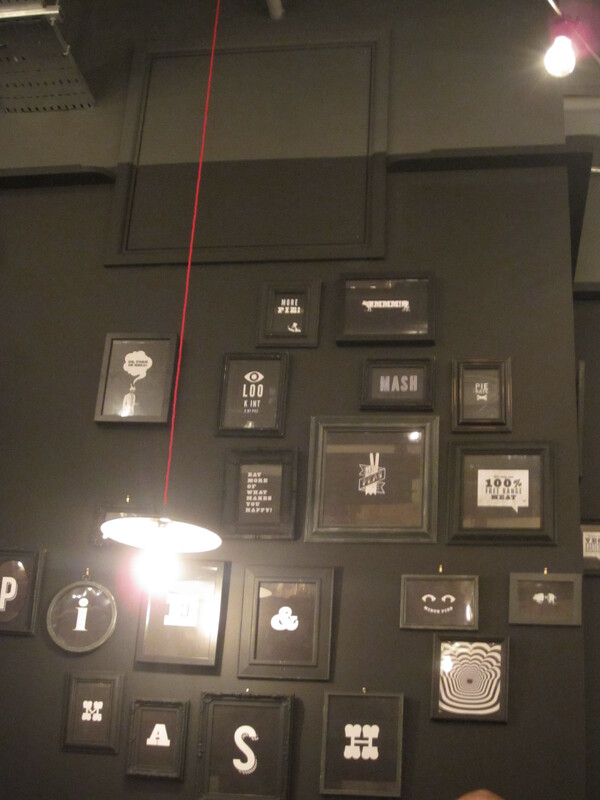 And with the new restaurant success as it is a great addition to the Cardiff street life. 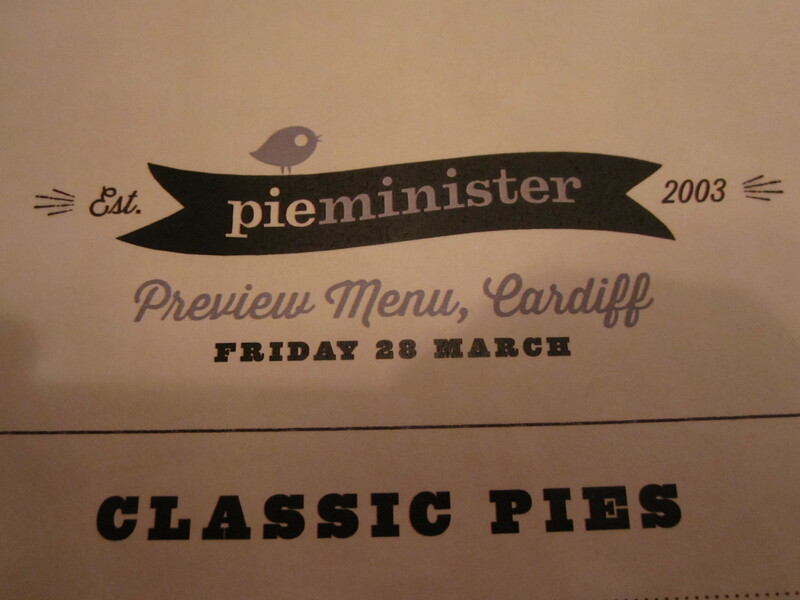 Well worth a visit if you’re in the area or even travel cross country for a morsel of these award-winning pies.